LottoSend is yet another lottery site that makes a good initial impression, but falls slightly short of the mark. Don't get me wrong: LottoSend is far from terrible. In fact, they are a pretty decent lottery site. They let you play in the most popular games around; they don't take commissions from winnings; they offer a variety of promotions and discounts; and they even support quite a few languages. That said, their game selection could definitely be beefed up more, as it currently pales in comparison to other lottery site's offerings. Prices, meanwhile, are slightly more expensive – and they only accept a handful of payment methods. LottoSend does enough things right to warrant a look, but it certainly lacks in several areas. 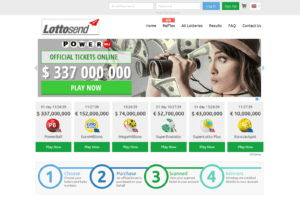 LottoSend is an online lottery agent that purchases lottery tickets on the behalf of players from all over the world. Players can officially join the supported lotteries directly from their homes, making playing the lottery easy and convenient. Playing the lottery at LottoSend works just like in any other lottery site – it’s a breeze. Choose a game you want to play in. Pick your numbers manually – or randomly via the Quick Pick option. Choose whether you want a one-time entry or multiple entries (via Multi-Draw and Subscription). Click on the orange “Proceed” button. Review your order and choose your payment method. Signing up with LottoSend is as easy as pie, and it shouldn’t take more than a few minutes. Fill up the registration form with your details, namely: Email, password, first and last names, date of birth, country, and phone number. Looks easy, right? It should be – if LottoSend’s registration form doesn’t bug out on you. 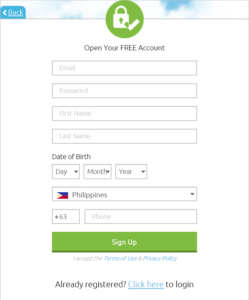 When I tried signing up myself, I couldn’t create an account. Completing the registration process (i.e. clicking the green “Sign Up” button) didn’t do anything other than refresh the page. I tried several times until I finally managed to register successfully. Not sure what caused that – but it is something that you should keep in mind. Follow this link to sign up for LottoSend. LottoSend is an online lottery agent service that has been around since 2013. They operate offices around the world, but their main one is in Slovakia. They offer a service that allows players to participate in various lotteries around the globe, wherein they purchase the tickets on a player’s behalf. LottoSend offers a unique promotion on top of the usual discounts. It’s not quite on par with the perks some lottery sites’ promotions offer, but it can definitely help newcomers – if only by a bit. Beyond that, they also offer a 10% coupon code – you only need to complete a survey to qualify. LottoSend may not have a vast catalog of lottery games on offer, but their collection does include some of the most popular ones out there. For starters, they offer US Powerball, Mega Millions, EuroMillions, SuperEnalotto and EuroJackpot. These are known as some of the most lucrative lotteries around that offers jackpots that can climb up to millions – if not billions – of dollars. LottoSend’s tickets are slightly more expensive than the norm, so budget-conscious players take note. As you can see, LottoSend’s prices are slightly more expensive than theLotter’s, which might not seem like much, but it’s not really a compliment – especially considering theLotter’s prices are already among the pricier options out there. LottoSend offers group play options for all the lotteries it offers. That’s right, LottoSend offers the same number of syndicates as their solo play games – 12. It’s great that they did this because some lottery sites’ syndicates make up a fraction of the total lotteries they offer. One thing though: you may not immediately see the group play options on the front page. You need to go to their All Lotteries page, or each individual game page, to access the syndicates. From there, it should be smooth sailing. If you’re not content with solo and group play lotteries, LottoSend also offers millionaire raffles. Or, rather, raffle – not plural. As of this writing, they currently have only one on tap: the Raffle San Valentin. That said, when the current raffle ends, another one usually takes its place—like the Loteria Summer Raffle. It’s great that LottoSend even included raffles, but other sites offer way more than just one option at a time. Definitely not. LottoSend is a perfectly safe place to enjoy your favorite international lotteries. LottoSend will also send a copy of every ticket purchased to your account, so you know you’re getting what you paid for. Yes. LottoSend agents will purchase real lottery tickets on your behalf – automatically qualifying you for any winnings down the line. Yes, as security seems to be taken very seriously by LottoSend. For starters, they utilize a 128-bit GeoTrust SSL to secure connections. This way, your payment details are safe from prying eyes. LottoSend also assures players that they don’t pass data on to third parties, which is something that is nice to hear from companies. Finally, they also display a Comodo Secure security logo. Comodo, if you aren’t aware, is a leader in cyber security that offers various solutions like firewalls, endpoint security, SSL certificates, and more. Is LottoSend a real or fake company? LottoSend is a real company with offices from around the globe. They employ a team of agents to purchase lottery tickets for their many customers. LottoSend is owned and operated by EU-Logistik-Transport, a.s, register offices at Osloboditeľov 516, 08204 Drienov, Slovak Republic. 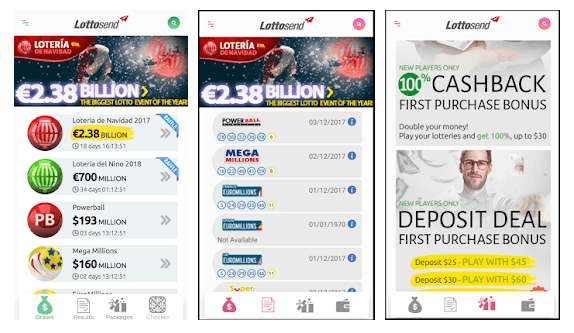 How does LottoSend make money? LottoSend makes money by charging a handling fee for each lottery ticket you purchase. This means ticket prices are more expensive than if you were to purchase them yourself, but this is common practice for all lottery agents. Yes. LottoSend’s operations are completely legal. That means that playing on LottoSend is legal as well, as long as you live in a country that permits participation in online lottery games. Does Lottery Critic trust LottoSend? Yes! LottoSend is perfectly safe and proves to be a trustworthy company. LottoSend’s prize claiming process doesn’t stray far from the norm – in fact, it’s exactly as you would expect from just about any lottery site. For starters, players can manually check the website if their numbers have won, but you don’t really need to because LottoSend notifies you immediately via email. If you win, your winnings are deposited directly to your account – that is, if it’s not a jackpot win. If you win the jackpot, you would have to collect your prize in person (which means, yes, you would have to travel). All in all, this isn’t surprising – even the fact that they don’t take commissions from player winnings. LottoSend is in a curious place as far as their banking methods go. They used to accept a whopping 56 payment methods – a feat that even leaders like theLotter can’t boast of – but now they only accept a measly 9. I’m not entirely sure what happened there, but I am certain of one thing: newcomers are going to be affected big time. LottoSend accepting more than 50 payment methods meant that you could find and use a payment method that is convenient for you – no matter where you lived. Now, it severely limits your options. You can always try bank transfers if you don’t have any of the other accepted payment methods though. Has anyone won on LottoSend? Yes! Here are some real people who struck it big with LottoSend! $20,450: Jerry & Yvonne Fitzpatrick, from West Yorkshire, England. $29,396: anonymous, from Europe. Won Mega Millions by matching 4 numbers and the Mega number. LottoSend makes it easy for Android users to play while on-the-go. The highly-rated LottoSend app is available for download freely on the Google Play Store. With the app, you can play any the offered games, check results, save your numbers, and more. Apple users are out of luck, though. However, the LottoSend website is optimized to work on mobile browsers so it’s not a huge problem. All the features work with minimal problems. Still, a dedicated app would’ve been nice. LottoSend’s customer service gets two thumbs up from me. If you need to get in touch with their support agents, it’s quite easy to do so thanks to the bevy of options at your disposal. You can, for instance, call them up via phone. Residents of the UK, Russia and Australia can call the dedicated numbers for each of their countries, while those who live elsewhere can use the international number listed. Beyond that, you can also initiate a live chat session, or fill up a form to get in touch with them via email. Note that their support isn’t available 24/7, so outside of their office hours (Monday-Friday, 8am-4pm GMT), you would have to leave them a message. Emails are replied to within 6 working hours, so it shouldn’t be too long of a wait. A sample from their handy dictionary. This is where LottoSend shines – their education materials are really impressive. LottoSend doesn’t just include informational tidbits about each lottery game in their respective pages, they go above and beyond to really educate lottery neophytes. 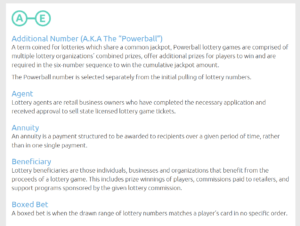 They provide a Dictionary page where you can learn all about the different terminologies used in lottery, and a Comparison page where they offer a brief – but informative – comparison between all the lotteries they offer. They also allow you to get more in-depth knowledge about each lottery beyond what is included in each game page. You can visit a dedicated info page for each game that really digs deep into each lottery – all you need to know is right there. LottoSend’s website functions much like any other lottery site out there, so you won’t have trouble using it. The latest jackpots, results and winners are all displayed front and center, for starters. Scrolling down the front page, meanwhile, gives you more information about their service. Up top, you can find the main menu which provides links to all the major sections of their website. One thing you won’t find here though is a quick link to their syndicates page. It’s easy enough to find though – going to the “All Lotteries” section should take you to the syndicates page. It would have been more convenient if they included a quick link to it though – but that’s a very minor gripe. One thing I liked – beyond how easy it is to use – is that it’s cleanly designed, too. It’s quite minimalistic, which makes it very easy on the eyes. There’s also no annoying ads scattered about – you’re looking at a pleasant, uninterrupted lottery experience. Even better, those who understand German, Italian, Dutch, Russian, Spanish, French, Magyar, Finnish, Bulgarian and Romanian can easily switch to their preferred language from the default English. Final Thoughts – Should You Use LottoSend? They are definitely worth considering. If you can live with their shortcomings, I say go for it. However, the fact that their accepted payment methods are somewhat limited, some people might not have any choice but to look elsewhere. It also doesn’t help that their prices are a bit expensive, despite not being able to match other lottery sites’ game offerings. That said, things even out as LottoSend managed to include the most popular lotteries in their selection. It’s also a good thing that they don’t take commissions from player winnings, and they even offer multiple discounts and cash back bonuses. Beyond that, the website is fairly easy to use, as well – especially since they offer it in multiple languages. More importantly, they don’t take security lightly, either. For what it’s worth, LottoSend may have its fair share of flaws, but they are worth a look. For single games, you can purchase tickets for up to 10 draws and a maximum of 5 lines. That’s not enough for 100 ticket combinations though, but you can always keep purchasing more. If you want to enter into 100 consecutive draws, group games offer that option. Take note, however, that winning in group games means the prize will be split amongst all group members. Also, LottoSend doesn’t take any commissions from your winnings.